2011 is going to be a good year for Sumner. Call it a comeback. After a long dry spell, investors are warming to Viacom (VIA). 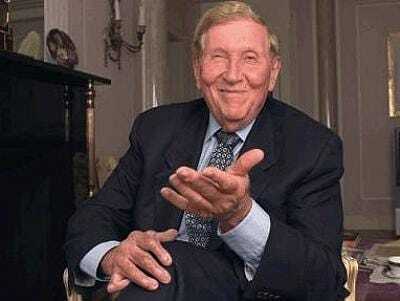 Sumner Redstone streamlined Paramount Pictures and nabbed a blockbuster with Transformers: Revenge of the Fallen. He trimmed the CBS fat and paid off some debts. MTV and BET landed some hits (thank you, Jersey Shore).Now Viacom’s balance sheet is looking awfully attractive, with free cash flow gushing up 17% to $2 billion at the beginning of 2010. Analysts predict that the stock will get $2.97 a share in its 2011 fiscal year, which ends in September, according to Barron’s. Savvy investors have been drawn to Viacom because its shares remain sharply undervalued, belying its array of well-known cable-network brands, powerful cash flow, earnings-growth potential and the possibility of a share buyback and/or perhaps a dividend payout, and operational stability, all amid a reviving economy. When compared with its peers, the stock is even more of a bargain. While it rebounded nicely in the past year, it still trails the PowerShares Dynamic Media Exchange-Traded Fund (PBS), which represents the media and entertainment industry. “The stock is extremely cheap,” says Jerry Senser, chief investment officer of Chicago-based Institutional Capital. Viacom is one of the money-management firm’s biggest positions.